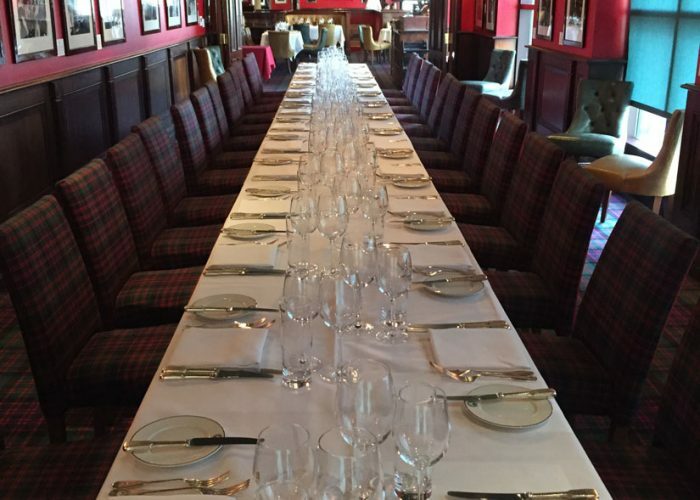 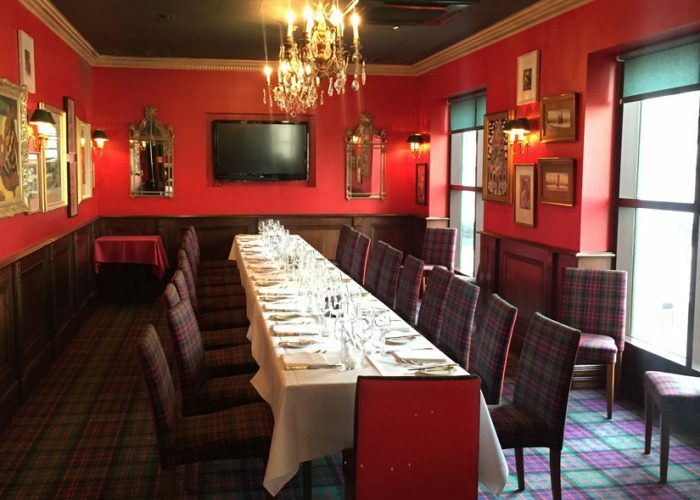 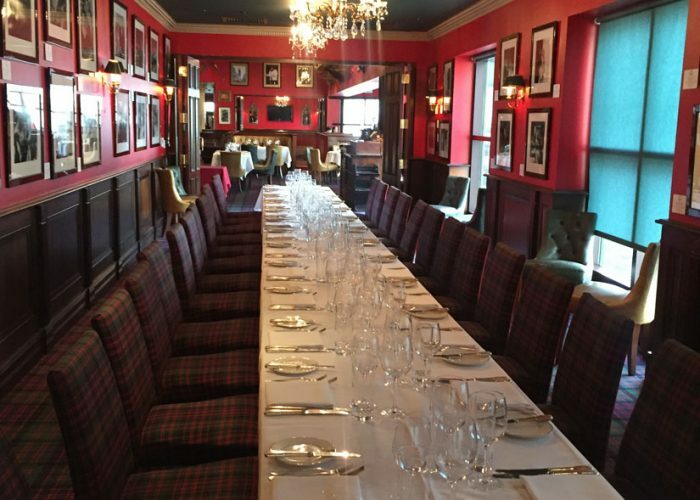 Luxury Private Dining Rooms at Boisdale of Canary Wharf - Docklands, London E14. 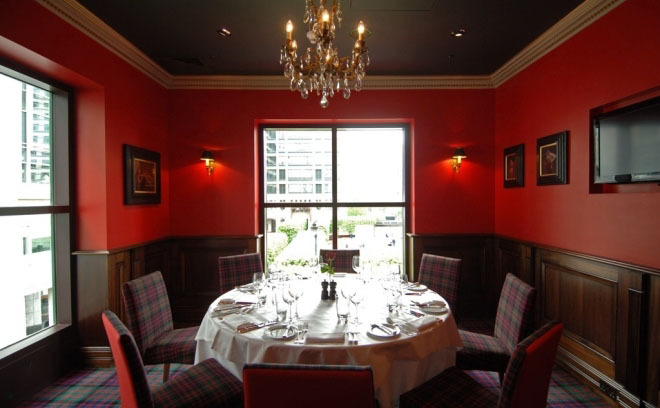 Thank you for your interest in Boisdale of Canary Wharf! 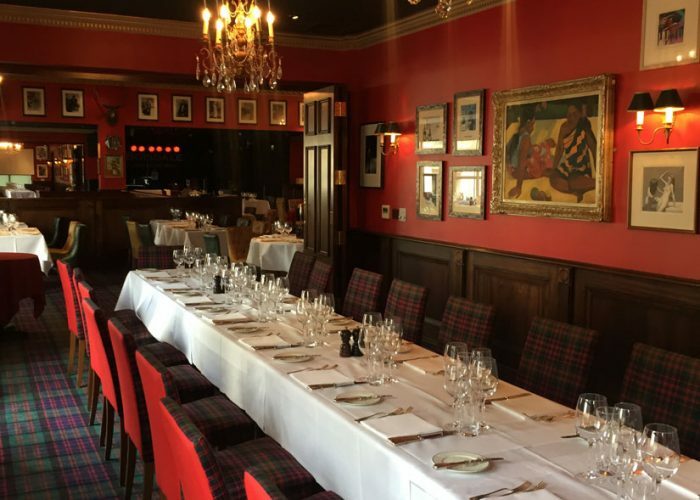 Set on a Gotham city-style art deco building overlooking the fountains in Cabot Square and with a view of the City of London skyline, Boisdale of Canary Wharf restaurant is one of the most majestic premises to have opened in the area. 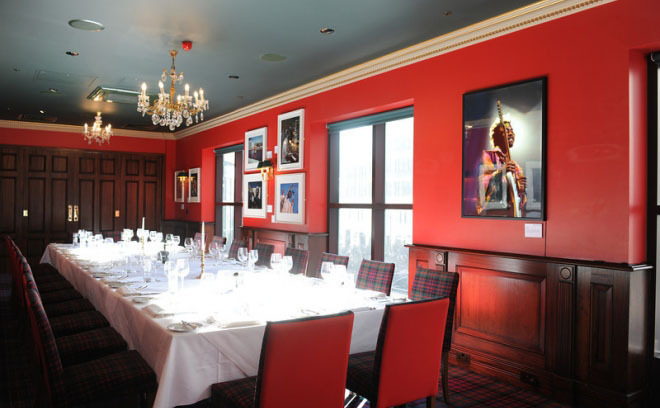 It bears the distinctive Boisdale design of lacquer red and dark green walls, rich mahogany panelling and an eclectic collection of classical and modern original artwork. 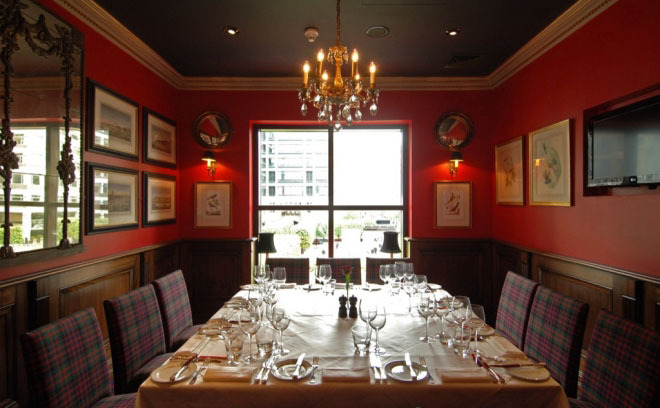 The menu showcases classic British dishes and there’s a special emphasis on seafood, and on Scottish dishes like haggis; makes sense with the amazing range of scotch on offer at the whisky bar. 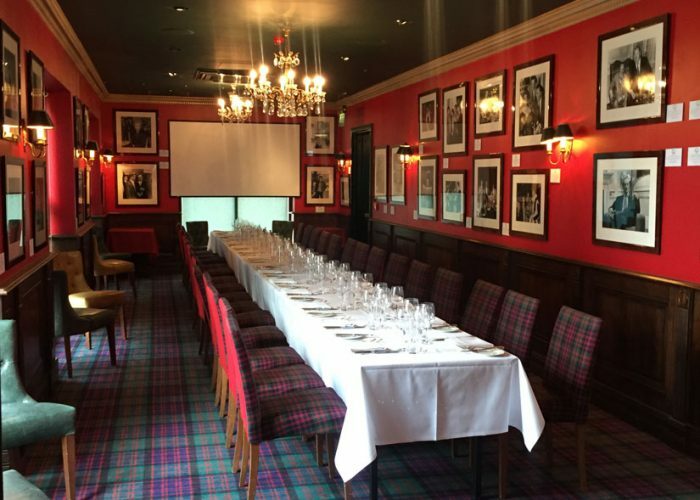 Well worth stopping off and indulging in a whisky flight – expert bartenders are on hand to guide you through the extensive range. 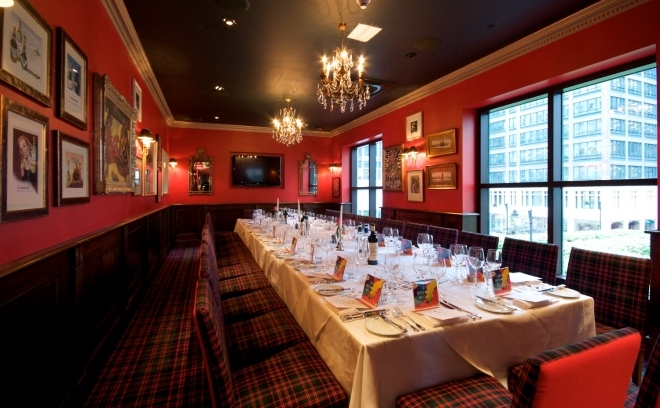 there is also a ticketed live jazz show most evenings and Jools Holland is the Boisdale patron of music.